Teaching creative, purpose-driven humans how to have an intentional brand strategy. Because life & business are worth growing as your truest self. Creativity and connection hold the key. conscious brand strategist and graphic designer. Through my emails, art, and offerings I guide people to brand from a place of truth, make creative and beautiful content & make an impact. 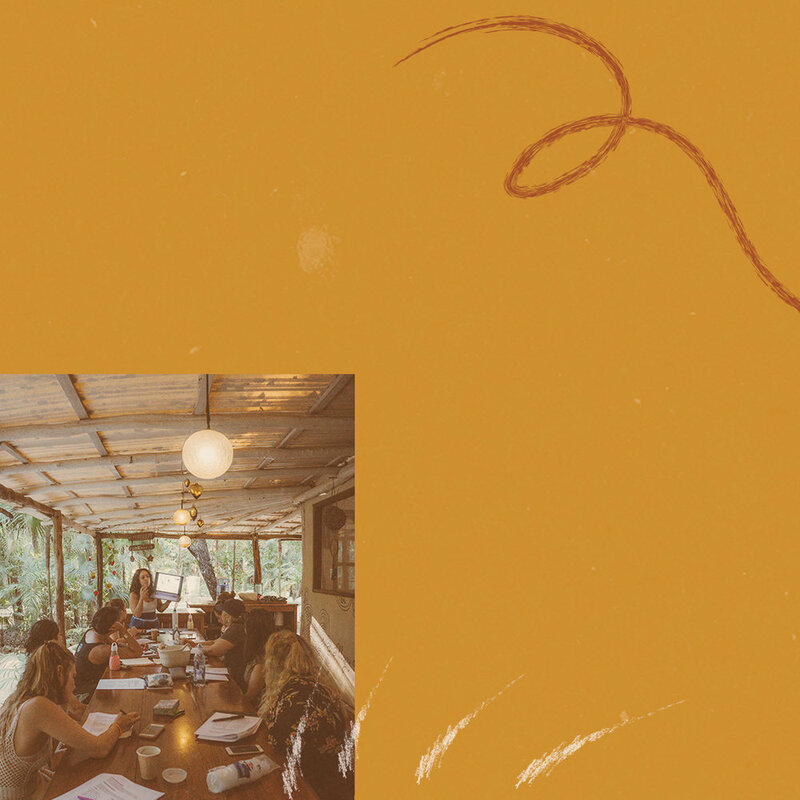 Creative gatherings for magical womxn set in the sacred Mayan Jungle. I co-host this annual retreat with two incredible artist sisterfriends. 2019 dates to be announced soon. Head over to the Magic Jungle site by clicking the button below. A self-led course that takes purposeful, creative business owners through their own DIY branding process. Learn and grow with a supportive online community. Join this intention-driven creative community of 1,000+ friends. Sharing behind-the-scenes info, real-life stories, art and prose, and the updates on new products + services. It’s a beautiful space. Some kind words from beautiful people.